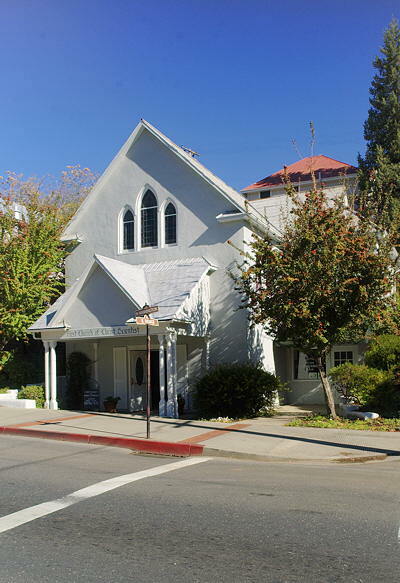 The First Church of Christ Scientist, Sonora, CA is one of the many world wide branches of the Mother Church, the First Church of Christ, Scientist, in Boston, Massachusetts. As dedicated students of the Bible and of the Christian Science textbook, Science and Health with Key to the Scriptures, by Mary Baker Eddy, the members of our church commit themselves each day to following the words and works of our Master, Christ Jesus, and to demonstrating the Scientific principles which he taught and demonstrated. Christian Science is ''a religion and a system of healing founded by Mary Baker Eddy c. 1866, based on an interpretation of the Scriptures asserting that disease, sin, and death may be overcome by understanding and applying the divine principles of Christian teachings''. What is Science and Health? Tue-Sat 11:00 a.m. - 2:00 p.m.
Research, study, purchase, or borrow all authorized Christian Science materials. Upcoming events will get posted here. Please check back later for updates.